Submit SOP on objections and claims by August 16, says court. 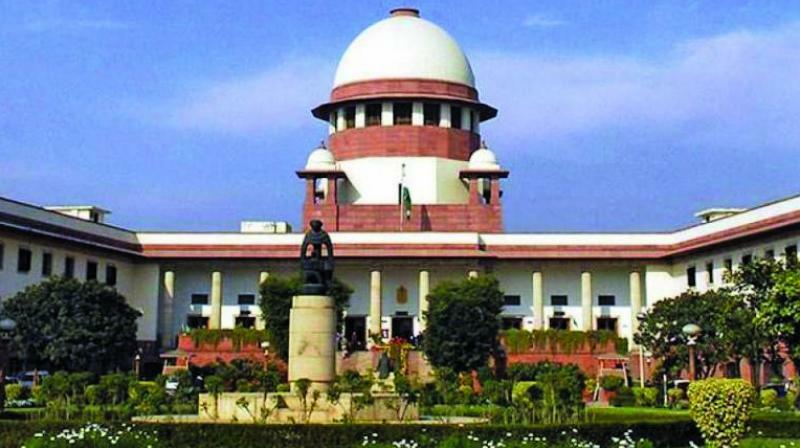 New Delhi: A day after the release of the draft National Register of Citizens (NRC) in Assam, the Supreme Court on Tuesday directed the Centre not to take any coercive action against those whose names are not on the list. Observing that the list released was only a draft, a bench of Justices Ranjan Gogoi and Rohinton Nariman directed the Centre to frame a standard operating procedure (SOP) to deal with claims and objections regarding Assam’s NRC. The court also asked the Centre to place the SOP before it by August 16 for approval. After hearing NRC coordinator Pradeek Hajela and attorney-general K.K. Venugopal, the bench said that people should be given a reasonable opportunity to contest the exclusion of their names from the list. Justice Gogoi asked the A-G: “How do you propose to do the standard operating procedure? It has to be a fair procedure. Each person who has to file a challenge or objection to the rejection has to be given a fair opportunity. If it is not a fair procedure, we will correct it. You have to indicate how you intend to do it,” Justice Gogoi said. “Give us the modalities at the next hearing. We are sure the procedure adopted will be fair,” he added. In a brief order, the bench said it would like to observe that what was published is a complete draft of the NRC and it can’t be basis of any action by any authority. The bench noted the authorities will have to follow legal process envisaged under the Citizenship Act and for this “a fair procedure will have to be laid down”. The NRC’s publication in Assam is a court-mandated exercise being periodically monitored by the bench. The NRC coordinator has been reporting directly to the bench. The NRC was updated in Assam under the court’s directions in order to weed out illegal migrants as the influx has been a big concern for many decades given the threat posed to indigenous communities. Earlier, Mr Venugopal urged the bench to issue directions that no coercive action should be taken against anybody whose name is not included in the draft. He said in view of the fears expressed by West Ben-gal chief minister Mama-ta Banerjee about a large influx of people to neighbouring states, the Cen-tre proposes to collect the biometrics of those who are yet to establish their citizenship. NRC coordinator Pradeek Hajela submitted the compliance report on publishing the final draft of the NRC on July 30 as per the bench’s direction. The bench, in its order, said it was noted from Mr Hajela’s report that the full draft would be available for people by August 7 and from August 8 people will get to know the reasons for their non-inclusion in the NRC. The draft published on Monday has the names of 2.90 crore citizens out of Assam’s 3.29 crore population. The report added that those whose names were not included in the final draft would get an opportunity between August 30 and September 28 to file claims and objections before the registrar concerned and at NRC Seva Kendras. Taking on record the coordinator’s submissions, the bench observed that a fair procedure would have to be laid down for the evaluation of claims and objections and everyone should get reasonable opportunity. The bench will take up the case next on August 16.